You travel in your own coach or vehicle to Berlin? Undertake a Berlin city tour in your own coach or in your own vehicle. Come with us on a guided classic 3-hour or a large 4-hour half day Berlin city tour in your own coach. Tours include exits, photo stops and small walks. Prices include VAT and und arrival and departure of tour guide. Not included are entrance fees and gratuities. * Tours in other languages prices on request. Payment on site in cash or with EC-Girocard, Visa, V PAY, Mastercard, Maestro, American Express, Discover, Diners Club, China Union Pay, Google Pay, Apple Pay + 3% charges. Short-term bookings: Check for Berlin tour city guide capacities. 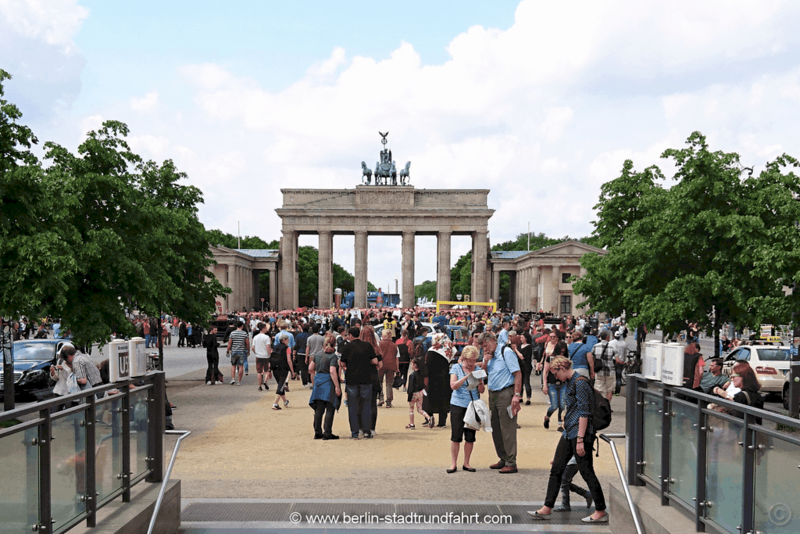 You come to Berlin by coach, minivan or car and want to do a private Berlin city tour in your own vehicle? Information about Berlin tours with own or rented vehicles. Book your personal Berlin tour guide here.